The latest expansion for The Old Republic will be releasing this September, and it'll be the first major new content release for the MMORPG in nearly three years. Onslaught is a free expansion to all current subscribers (sorry, free-to-players), and features all new quests and storyline, brand new planets, a new flashpoint, and a new operation. The new story will centre around the reignited war between the Galactic Republic and the Sith Empire, and as always, you'll be able to chose which faction you side with, as you'll be able to sabotage the efforts of the Republic, should you so desire. There's lots of new gear and items, as well as abilities, in the expansion, but of most interest is the new planets, one of which is Onderon, a planet that is covered in thick jungle and wild creatures. The other planet is Mek-Sha, which is a fuelling-station built into an asteroid, where the less savoury characters of the galaxy meet to trade, steal, plot and beg. 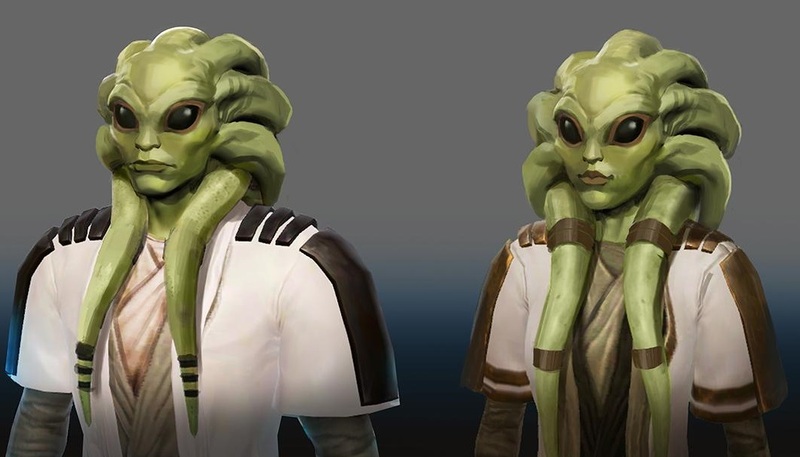 There's even a new species, called the Nautolans, as well as a new "tactical items" gear slot, and a raise in level cap to 75. The expansion releases in September 2019.